Cirlock has developed a new Ball Valve Lockout device, to be part of its wide lockout / tagout range. The new Ball Valve Lockout device (BLV-1) for locking out ball valves from ½” to 1¼” is available now. The new Ball Valve Lockout device (BLV-1) will lock ball valves either in the closed or open position and is made from strong nylon plastic and easy to use. 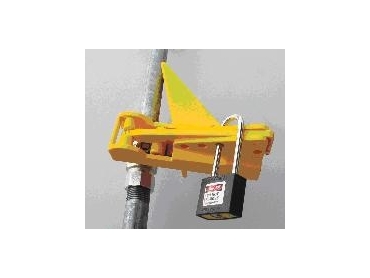 The new Ball Valve Lockout device (BLV-1) is available in bright safety yellow.